As you may already know, Sony Mobile isn't just a hardware manufacturer. The company is also a software developer, and, while most of its software is made for its own products, there are also some Sony apps that work on non-Xperia devices. More exactly, we're talking here about Sony-made applications that can be used on most Android smartphones and tablets. There are some of them that are really worth your attention, so we're presenting them in this article (download links included). All four Sony apps listed below are free, with only one of them offering in-app purchases. Go ahead and check them out, and let us know if you like any of them, okay? This Sony app has a clean interface, and will (obviously) let you record audio, as well as edit audio (WAV) files. You can choose to record stereo or mono, at different quality - from basic to superior. Sony's Audio Recorder is compatible with devices running Android 4.1 or later. If you want to, for higher sound quality, you can pair your device with an external Sony Stereo Microphone STM10, or a Digital Noise Cancelling Headset MDR-NC31EM. Developed in collaboration with other companies (including Nvidia and ATI) and a group of Stanford University scientists, Folding@Home is what we'd call a noble application. It lets you contribute to the search for cures for various diseases, including Alzheimer's and cancer. How does it do that? Well, if you allow it, it relies on the processing power of your device (when it's not in use) to carry out millions and millions of calculations that help scientists study protein folding. In a way, all the devices using this app are working together as a supercomputer. Folding@Home should be able to run on most ARM-based phones and tablets running Android 4.4 KitKat or later. Sony's Sketch app lets you discover your creative side by allowing you to draw sketches from scratch, or edit and enhance already existing images. The application features various brushes, pencils, markers, also including layers, a color picker, and even pre-loaded stickers. You can publish your creations online, and invite friends to collaborate. Sketch is compatible with devices running Android 4.2 or later. 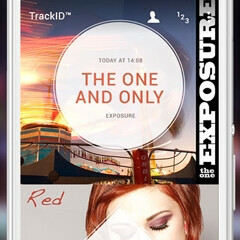 Once a Sony-exclusive application, TrackID is a music recognition application that rivals Shazam. Available in over 60 languages, TrackID has a pretty cool interface, and can identify songs in mere seconds, also letting you watch music videos or read artist biographies. TrackID can be connected to Spotify, so you can add songs to your Spotify playlist (where available). If you're not connected to the Internet, TrackID remembers the songs that you want to identify, and will search for them when a connection is available. Man, if they put or sold Walkman/Music on Play Store, I bet it would sell like hot cakes. It's the only thing I miss moving away from Xperia. Sony. Sony-senpai. Listen to this man's brilliant comment! You can get a ported app. Look in XDA forums. It's not the same with port. Sony's Walkman app + Audio Engine is one of the best audio solution on mobiles. When I switched from Xperia S to OPO, I was extremely disappointed with audio and Camera of OPO. I tried walkman port on OPO but it was not the same. Yeah but ported apps doesn't feel right to me. I now use Onkyo HF player, but oh man the Walkman/Music app is such great design, you only realize how much you're missing when you stop using it. The features I would like are the stamina mode and the music app, but I guess that's not going to happen. I would have mention SmartConnect before any of those... it is nowhere near Tasker or Llama but it is way simpler for casual users. I agree, SmartConnect all the way. Sony has got LOTS of very good and useful apps, like stamina mode, track id, album, music, etc. Even their fm radio app looks top-notch. Their UI is also very good and clean. Sony offers the best user experience out of all Androids imo. But what does PA say (and other sites as well): "its software interface is starting to feel a bit tired" and "As far as app functionality goes, the Sony Xperia Z5 doesn't surprise in any way". I really have no idea what they have to do extra to get some likes.